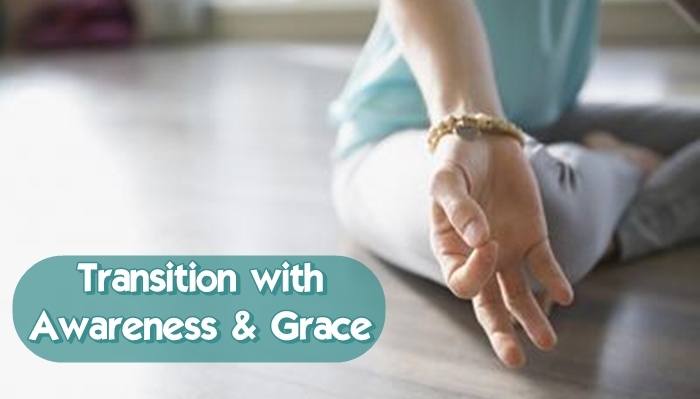 Here are 6 ways to transition with awareness and grace on your mat and in your life. 1. Get clear. Be Still. You won’t always know where you are going. That’s okay. Too often we forge ahead aimlessly, then wonder why we are letting the wind carry us every which way. So be still. Meditate. Journal. Sit quietly even if it is just for one minute each day. Over time you will create space in your mind and space in your body. Your intuitive direction will become clear. 2. Notice the spaces in between. Treat the time in between postures or destinations with the same awareness and regard as you would each yoga pose or life role. Notice the spaces in between your thoughts. Notice the spaces in between your inhales and exhales. If you reflect on past transitions you will likely remember the journey filled with pauses with as much gratitude as the goal. One is not possible without the other. 3. Let go of struggle. One of my favorite cues in yoga both as a student and teacher is let go of struggle. If you feel resistance during a transition ask yourself if it is fear based or intuitive. Where are you wasting unnecessary energy? Let go of fear based reasoning and release anything you know in your heart does not serve you in the moment. Intuition will sound when you are headed somewhere your body is not ready to be. Returning to step 1 will help here. 4. Practice loving kindness. Ahimsa in yoga means non-violence. Remember to practice this with yourself. Notice your idle mind chatter. Catch yourself in any self-sabotaging dialogue. Speak to yourself with as much love and compassion as you would a dear friend. 5. Lose where you think you need to be. Find where you are. Body wisdom develops on your yoga mat when you listen inwardly. Life wisdom develops when you do the same. It is one thing to look to others for inspiration but let go of judgement and comparison. Truly honor your personal path. 6. The prize is in the process. Yoga classes don't usually start with yoga nidra. Your life doesn't start at the end. The prize truly is in the process. Remind yourself this with as many playful examples as you can. Over time your faith in transitions will grow and your discomfort in them will hopefully wane.